We love spending time in the Scottish highlands, especially in the winter time. 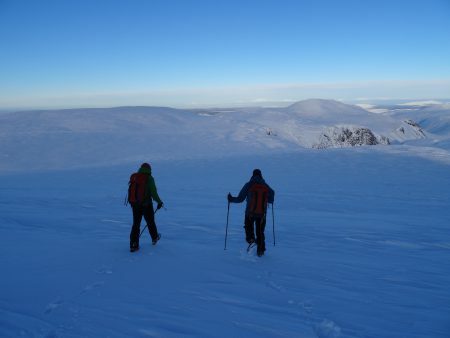 We offer guided days out in the snowy Cairngorm mountains between December and April. Our team can show you how to use winter equipment such as an ice axe and crampons, some top tips for winter navigation, emergency winter shelter building and avalanche awareness skills. Or you can let us make all the decisions and guide you around some or our favourite mountain days and make the best of the weather and snow conditions. Avalanche knowledge, avoidance and rescue techniques. Winter navigation skills, using map, compass, GPS and phone apps. Use of winter kit, ice axe, crampons etc. Practical on the hill decision making. 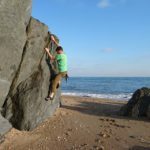 Lots of winter top tips from our instructors. Winter refresher days will meet at the Cairngorm ski area car park near Aviemore and cost £80 per person with a maximum ratio of 1 instructor to 6 clients.